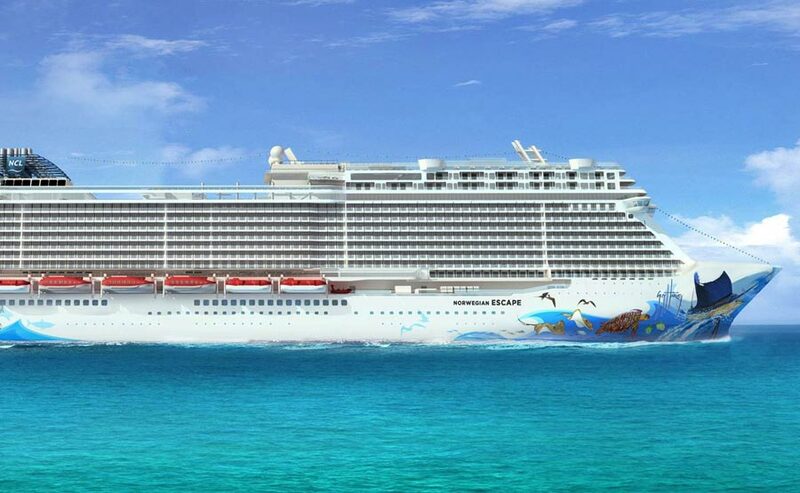 Norwegian Cruise Line and Hamburg Cruise Port have announced that the 163,000 ton Norwegian Escape is to visit the port for its first public sailing in 2015. The cruise ship is currently being built at the Meyer Werft shipyard in Papenburg, Germany and will visit one of Germany’s popular Hamburg Port on October 23 2015. When Norwegian Escape visits it will be the largest ever cruise ship to do so. When the ship is built it will be NCL’s largest cruise ship and it first public voyages from Hamburg will be very popular. The ship will sail a special 2 night cruise for travel agents and cruise professionals then make its way back to Cruise Port Hamburg where it will depart again on a 2 night cruise to Southampton, UK with passengers onboard. Cruise Port Hamburg has been in the news a lot recently for celebrating its 825th Anniversary with a huge celebration and again for TUI Cruises new cruise ship Mein Schiff 3 which was christened just days ago.